St Lucia 1971 Easter Set. SG305-SG308. Unmounted mint 1971 Easter Set. SG305-SG308. 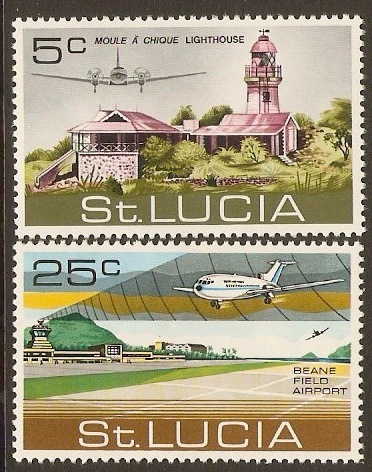 St Lucia 1971 Airport Opening Set. SG309-SG310. Unmounted mint 1971 Airport Opening Set. SG309-SG310. St Lucia 1971 Views Old and New Set. SG311-SG318. Unmounted mint 1971 Views Old and New Set. SG311-SG318. St Lucia 1971 Christmas Set. SG319-SG322. Unmounted mint 1971 Christmas Set. SG319-SG322. 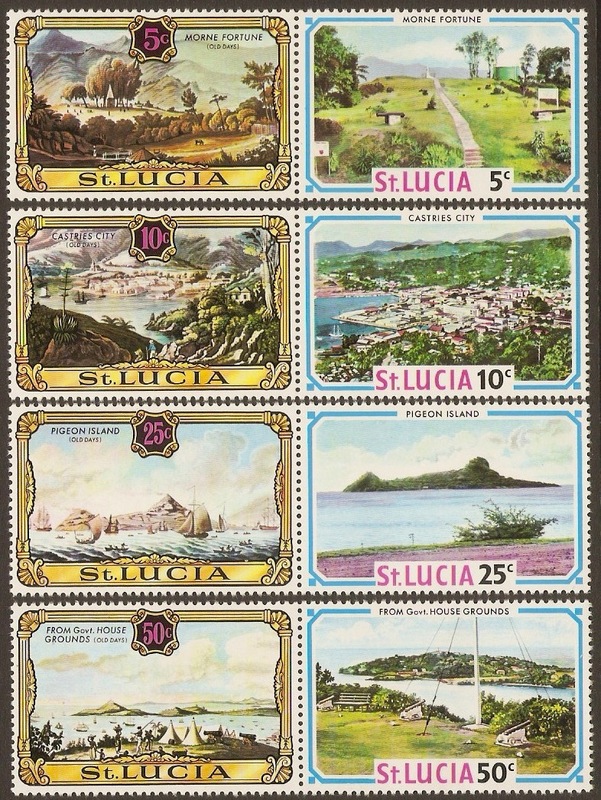 St Lucia 1971 National Day Set. SG323-SG326. 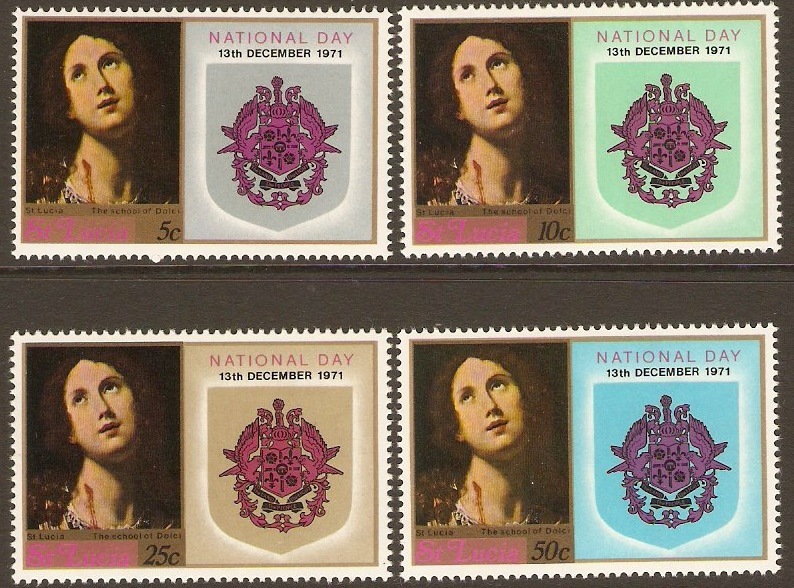 Unmounted mint 1971 National Day Set. SG323-SG326. 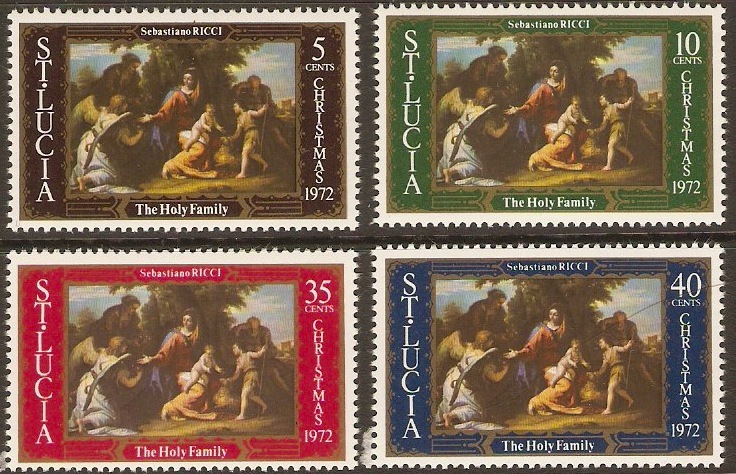 St Lucia 1972 Easter Set. SG327-SG330. Unmounted mint 1972 Easter Set. SG327-SG330. 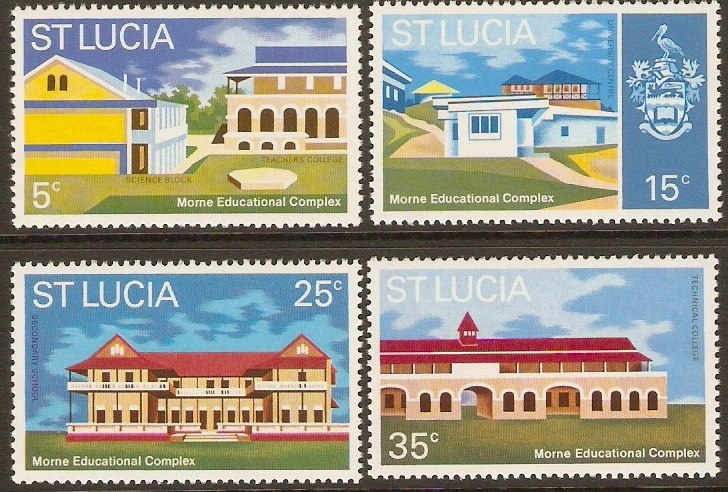 St Lucia 1972 Eductional Complex Set. SG331-SG334. Unmounted mint 1972 Eductional Complex Set. SG331-SG334. 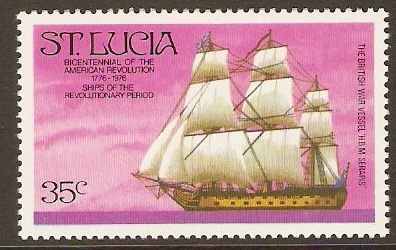 St Lucia 1972 Postal Service Anniversary Set. SG335-SG338. Unmounted mint 1972 Postal Service Anniversary Set. SG335-SG338. St Lucia 1972 Christmas Set. SG339-SG342. Unmounted mint 1972 Christmas Set. SG339-SG342. St Lucia 1972 Royal Silver Wedding. SG343-SG344. Unmounted mint 1972 Royal Silver Wedding. SG343-SG344.